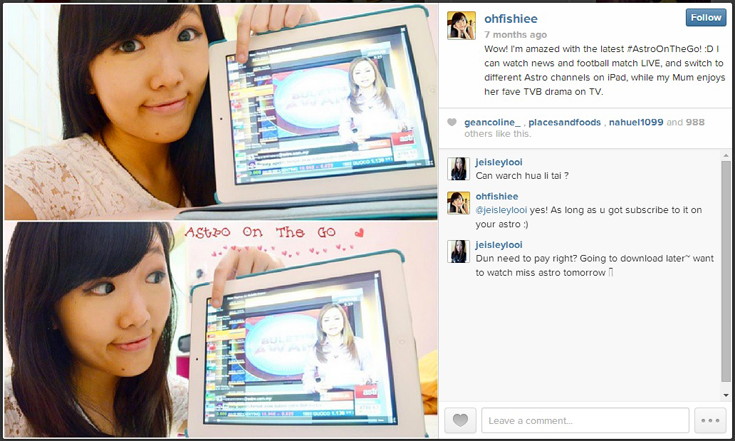 If you've been following me on Instagram, you'd know that I'm a TV addict. My family has been a loyal user of Astro since I was a kid, and now I'm glad that Astro is constantly rewarding us with new programs, channels and the latest app- Astro On The Go. If you haven't heard of it, Astro On The Go is an app available for FREE on smartphones, tablets and computer, to allow us to watch Astro anytime anywhere we'd wish. 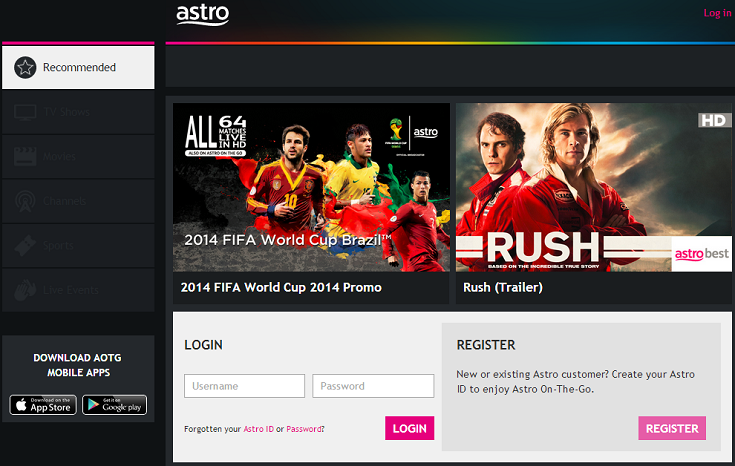 The access is free for all ASTRO Super Pack, Multiroom, Sports Pack and Value Pack subscribers. 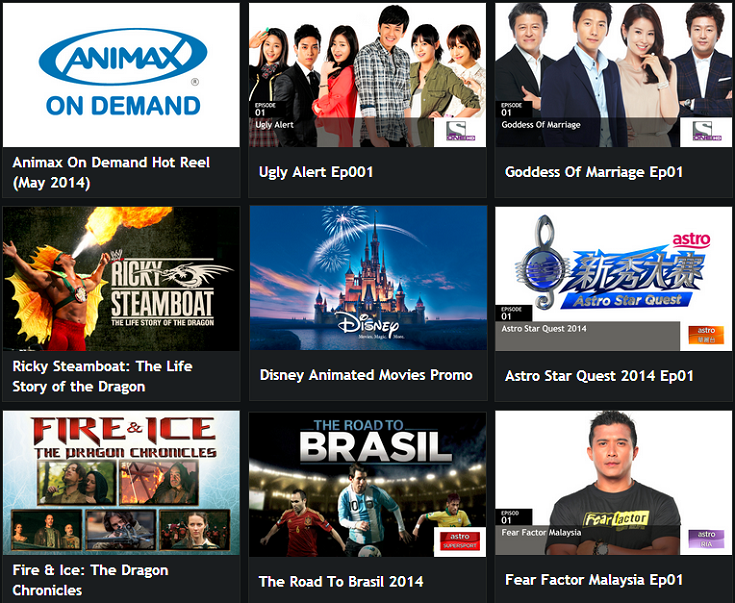 Over 30 channels are available at Astro On The Go! For instance, I can spend hours and hours on my fave Korean dramas. Sometimes during boring lecture classes, the dramas are good as time killer! :P Don't you just agree with me? With 2014 FIFAWorld Cup Brazil around the corner, I couldn't find a reason to say No to this awesome app so that I can watch the exciting matches wherever I go! You can enjoy 30 matches (including semi finals and final) for FREE on AOTG. Additional single match is available for RM 6 each. It's time to win a FREE 1-month access to premium content on AOTG! Currently, Astro is running a roadshow across 10 campuses around Klang Valley. Just drop by and do a simple sign-up, and you'll get some FREE goodie bags, Astro merchandise and awesome gifts in the campuses!